If Troika Games LLC somehow turned into your uncle, he would probably have thrown himself off a bridge after yet another lousy sales report hit his desk. His will would be written in crayon, leaving you nothing but a series of half-built tree-houses in the backyard and a string of apologies. 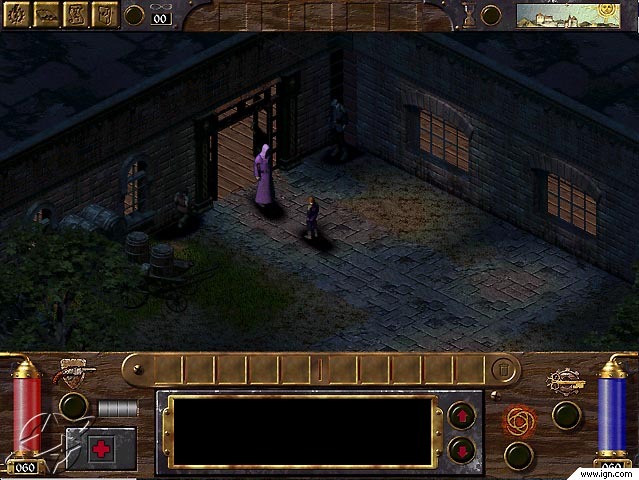 The tree-houses in question would be Arcanum: Of Steamworks and Magick Obscura, Vampire: The Masquerade – Bloodlines and Temple of Elemental Evil. All three were inspired works that ultimately failed because they were unfinished, buggy and, in many ways, reaching too far. It wasn’t until the mod community raised their collective hammers and went to work finishing what Troika had started that we came to understand just how cool uncle Troika was. Today we honor them with a list of some essential mods for each game and reasons why you should give them a second look—now that they actually work. 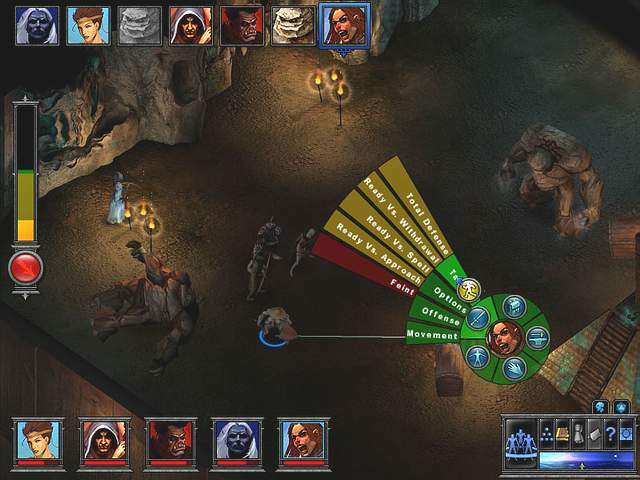 Arcanum was Troika’s first game, and it immediately challenged the D&D foundation the games before it built on. Tossing aside the high-fantasy work that members of Troika did at Black Isle, Arcanum took place in a world of steam technology and magic. In a way it was a graphical step down from the Infinity Engine games, but it made up for it with a story that came close to rivaling Planescape Torment. It was varied, complex and most definitely wordy. This first game from Troika was a harbinger of things to come. 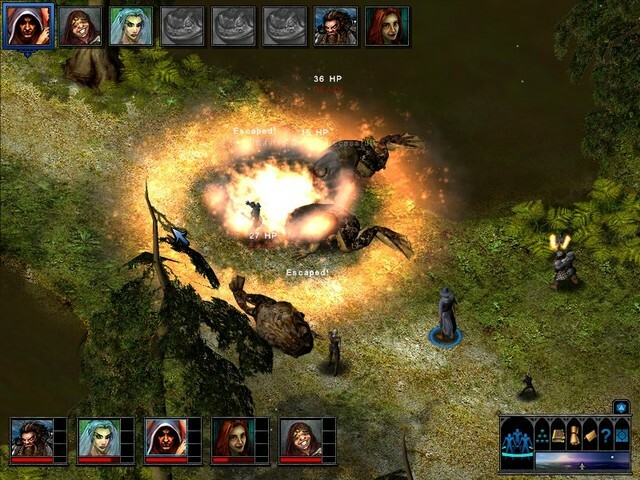 It was never complete, yet it still garnered good reviews for the sheer chutzpa of releasing an isometric RPG that had nothing to do with Bioware. It tried for complexity that defied the game’s budget and deadlines. In the end, it was a worthy successor to the Black Isle games, only with enough bugs to condemn an apartment block. The mod community came to the rescue. Even as late as 2009, fan patches were released, fixing bugs, adding widescreen support and generally bringing the game up to a state that Troika could only dream about. More bug fixes and additional content from the Forgotten Places of Arcanum. Better town maps, level-cap removers and more! The first game to use the D&D 3.5 rule set, Temple of Elemental Evil (ToEE) was the most faithful translation of pen and paper rules to computers ever made. Every rule seemed to be crammed into the game, no matter how obscure. With an interface and game engine that felt like the natural next step after the Infinity engine games, ToEE was all set. Instead, once again, Troika released a product that was unfinished, buggy and generally broken. Something must have been in the water at Black Isle, because to this day, Obsidian is plagued by the same problems from the same place. Like sponsors for alcoholics, the mod community stepped up and helped ToEE limp through the door long after Troika had closed shop. Fixed quests, widescreen patches, and added stability and content all make ToEE a game that plays great and conveys the vibe of playing the tabletop game—all with a clarity that no other game could match. You can make your entire party from scratch and play the classic Greyhawk D&D campaign. Just remember, this game keeps it real, so Wizards die if you sneeze on them at first level, and you should save a lot. A LOT. Even before Half-Life 2 was released, we knew Vampire would be the first game to use Valve’s new graphics engine. 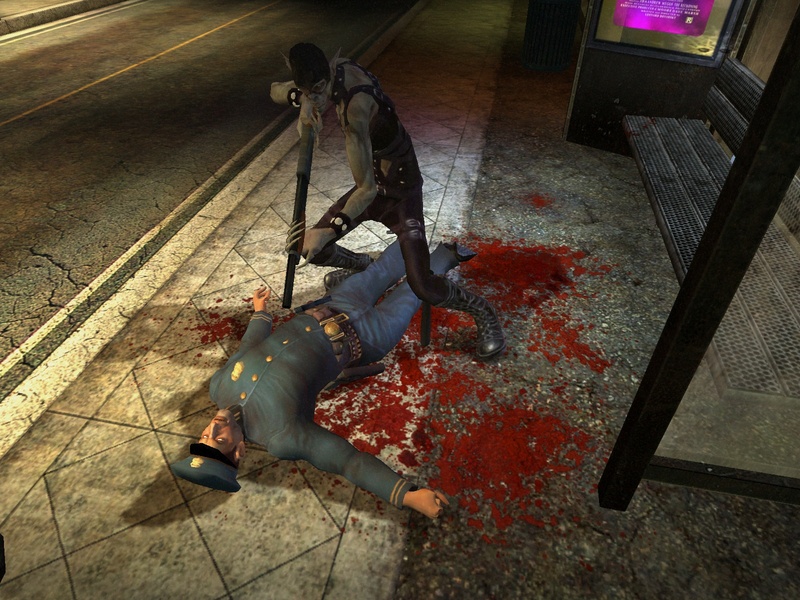 The scuttlebutt before release was that the game was done, but because Half-Life 2 had to come out first, Vampire: The Masquerade had plenty of time for polish. It was a pleasant fiction, but reality was a harsh mistress for Troika and its fans. Vampire was an incomplete mess, flashing small glimmers of brilliance under the trash. 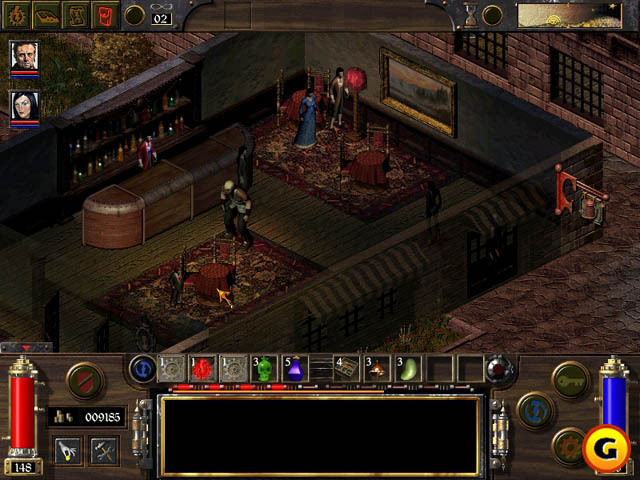 A mix of vampires, Deus Ex and the hottest graphical engine of its time should have catapulted Troika to new heights. Instead, it was the death knell of the company. It wasn’t until fans stepped in and picked through the wreckage that we discovered just what a game Troika had made. Branching paths, an action RPG system that worked and decisions that had real impact hours into the game: All of it was there. It took years for modders to finish what Troika started. If you’ve never played it before, you can consider yourself lucky. The game is only $19.99 on Steam and it holds up incredibly well, even by modern standards. All you really need is the unofficial fan patch, which you can find right here. Troika burned out quickly, but to this day their influence is felt—thanks to their dedicated community. All three games are worthy of your time and work great on modern machines with very little tweaking. It’s a bit sad to think of where they might have gone with a little more time and a bit more discipline, but we’ll never know. Seriously, guys, stop this madness! I wouldn't consider what I have a pile--only a handful of games I play over and over--but I do NOT need another game to add to my list, and with all the talk of Vampire: The Masquerade here I'm thinking of picking it up. Stop it! *covers ears* LALALA...I CAN'T HEAR YOU! Somewhere in that tumbling tower of CD cases hides a copy of Vampire Bloodlines. It's been sitting there for more than one year now! Probably very close to SS2, now that I think of it. Yeah, I see my game staring at me from the tower. Hell, its ugly older brother, Vampire Redemption is staring at me too. I have serious doubts that'll even run on my rig. Maybe I should replay Arcanum. I played and finished it right after release, but don't remember anything from the story except for the hilarious, shrieky voice of the end boss. My old CD-Roms probably won't work anymore, to the GOG mobile! Bloodlines has an Ultima gypsy? Why, yes it does. Not a literal gypsy, of course, but they offer a similar device at character creation. Just the other day I was thinking, when I am done with Baldur's Gate I and II (fully modded, of course), what other similar games might I play? And then I saw this article. I love this website and the people on it. I will pick these games up as soon as I finish up BGII. If I ever meet you, Shawn, I owe you a hug. Wow, that's enjoying a game on a level not seen since mapping a text adventure on graph papaer. Do you do this often? Do you make them available to for others to read? Lots of people do something very similar. Not to run too far off topic, but Tamren does this for X-Com, though he's been remiss lately in posting his latest. Considering how eerily parallel your taste is with mine you should probably give it a try. Started a new Tremere Bloodlines character tonight. This is still such a good game. Love, *love*, LOVE both Bloodlines and Arcanum. To this day, though, I've never been able to beat Arcanum without some sort of game-killing bug getting in my way. 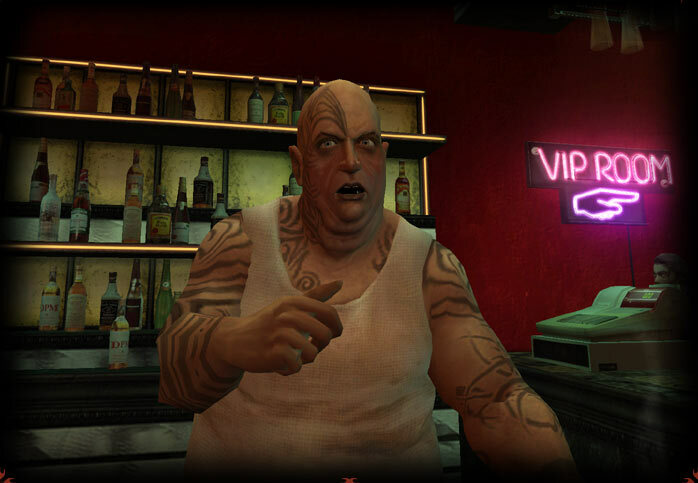 Bloodlines as a Malk with a high Dementation is one of the funniest/sickest games I've ever played. Thanks a lot, enablers. I'm currently in the final chapter of a Gangrel Bloodlines playthrough, and already anticipating a second go as a Malkavian. I picked up the game a couple years back, but I never got around to finishing it. It still holds up remarkably well. The Gangrel has been surprisingly fun so far. My previous unfinished attempts were as a Nosferatu and a Toreador, so it's refreshing to ignore stealth and diplomacy and just turn into a big bat-thing and tear out some throats. it's refreshing to ignore stealth and diplomacy and just turn into a big bat-thing and tear out some throats. Oh man. I might spend the whole year playing this game. In my previous attempts I've usually gone Toreador. Being a Tremere makes it a lot harder to pick up the girl in the nightclub for a quick feed. Just did a bit of the hotel. Still creepy as hell. Same thing with my Gangrel, 0 points in seduction and appearance. I've tried pick-up lines on girls in every bar and I get shut down every time. It probably doesn't help that most of my dialog options are things like "hey, nice cans". Ok I started up a Malkavian character and it's like playing an entirely different game. I've only done the first couple quests in Santa Monica and I'm already amazed by the dialogue, especially all the weird prescient statements your character makes, like calling Therese and Jeanette the "daughters of Janus" before even meeting them. Talking with the crazy psychic on the beach is especially illuminating - the conversation seems like crazy gibberish unless you've already seen the end of the game, in which case it's basically a giant spoiler. Yeah, the Malk is a pretty cool playthrough and I was impressed with how "on-spot" his dialogue was while being obsfucated enough to make it seem like your character still has a bunch of bolts loose. Even minor character introductions are fun when you get to say things like "I seek the vault of gold" to Knox before he tells you his name, or "Ah! The flower girl!" to E before he tells you Lily's name. Also, I love how confused people get when you start babbling about the "fleet-footed god" until they figure out you're talking about Mercurio. Somebody had a lot of fun writing this dialogue. And Dementation dialogue options are always hilarious. Who needs diplomacy when you can just drive everyone crazy? Minor derail here: Will the combination of recommended official patches and the Circle of Eight mod remove ToEE's CD-check? I have a boxed copy gathering dust, but don't mind giving GoG a few bucks if it would make playing the game more convenient. I'm not 100% sure, but I think so. Sweeeeeeet. I loved Arcanum. This should spur me into installing it again and going at it like crazy. Just in case someone wanting to know happens across this thread: Once everything is patched and modded, ToEE doesn't need the CD. I really had a blast with both the Vampire games : it was spot on compared to the pnp roleplaying experiences I had at the boarding school during high school. So accurate and so immersive! I wish companies would still create rpg like these and Arcanum nowadays, both on PC & consoles! I mean, come on! Don't you wish modern rpg were more like these? With all the HD widescreen & fancy special effects swag as extra topping, hmm? Btw, does The Witcher fit that description? The Witcher does a good job of providing choices where there's no clear good or bad option--they're pretty much all compromises. But you aren't really telling your own story as in Bloodlines, you're telling Geralt's story. I haven't played any other game that's quite like Bloodlines. And I'll admit to never having finished Arcanum. I think I tried that one a bit too close to release. My recollection of Vampire was that it was more flexible based on what you were in terms of clan and stats, with some of the tactical options of Deus Ex thrown in. Lots of returning to the same set-piece narrative choke points.